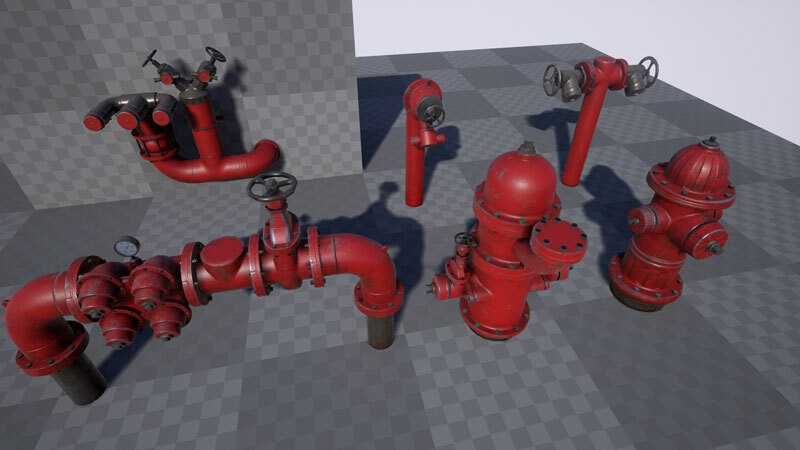 This is an asset pack I created for the Unreal store. 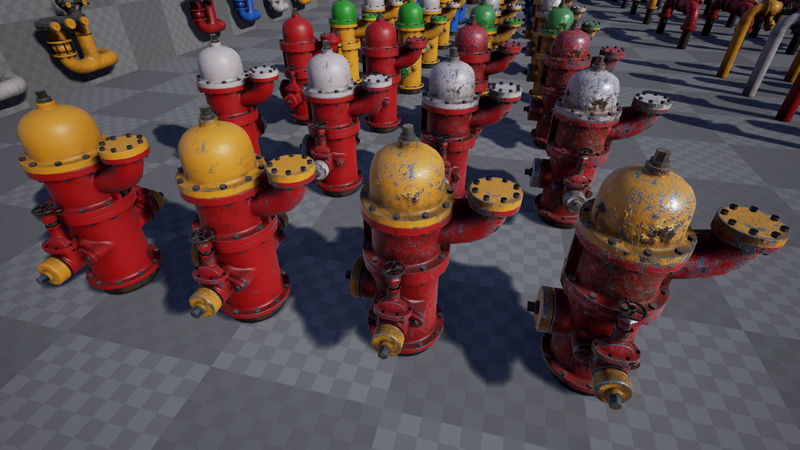 It is a collection of various fire hydrants with 4 LOD's. the textures are created using Substance Designer, and allows the user to age them as they see fit for their project.